William (Bill) Sheatsley was born on November 27, 1941 in Columbus, Ohio. His parents were Erica Rachel and Milton Daniel Sheatsley. Billy died on August 14, 2015 at 12:45 a.m. and all of us who knew him are deeply saddened. He is survived by his wife of 42 years, Stevie Sheatsley, sons Clint Perry and Kevin Schott, daughters Shannon Schott and Kate Schott, grandchildren Torre Freeman, Ben Prairie, Alora Schott, Brandon Schott, Nathan Schott, and Clara Montgomery, daughters-in-law Yvonne Schott and Rachel Freeman, and his niece Tracey Casillo. He will be sorely missed, but if you believe in the spiritual realm, you know this is not the end of the impact of this great soul. Bill began his studies at Amherst College in 1959 and graduated with a degree in English in 1963. Bill was a mountain of a man; strong, rugged, hardworking, with great intellectual and spiritual depth. He was a devoted husband, great father, loving grandfather, dear friend to so many, constant helper to friends in need, contractor, builder and maintainer of homes, and a practitioner and guide to those on a spiritual path. Bill was also a wonderful Jnana Yogi, loving Bhakti Yogi and dedicated Karma Yogi. In 1964, he met his spiritual teacher Swami Shri Brahmananda Sarasvati (Dr. Ramamurti S. Mishra, MD) who founded Ananda Ashram in Monroe, New York. Bill lived at Ananda for two years and from then on Doctor Mishra was his Guru whose teaching and spiritual path was a broad river to the ocean of bliss we all aspire to. Bill drank deeply of this spiritual nectar through his readings, regular attendance of group satsangs, daily meditation and humanitarian service. It was during his stay at Ananda in the mid-1960s, that Bill met Bill Haines. With other young students of Dr. Mishra, they moved to Millbrook, the New York estate of Billy Hitchcock and lived and studied with such alternate culture luminaries as Timothy Leary, Richard Alpert (later known as Ram Das) and Ralph Metzner. In the early 1970s, Bill Sheatsley, Bill Haines and their spiritual brothers bought a tract of land in the desert outside of Benson, Arizona and founded Sri Ram Ashram named after their guru, Ramamurti S. Mishra. Bill Sheatsley designed and built almost singlehandedly the poured concrete structures that became its hallmark residences, classrooms and meditation hall. While living at Sri Ram Ashram, Bill met Stevie Schott, who became his wife. Stevie was not only a wonderful mother but a teacher at the ashram who was a gifted craftsperson specializing in antiques and propagating fresh water ponds. They complemented each other and were a wonderful team. In the 1970s, Bill and his family moved to the Mountain Drive community in Santa Barbara, where he once served as Volunteer Fire Chief, then to Grass Valley and Nevada City. 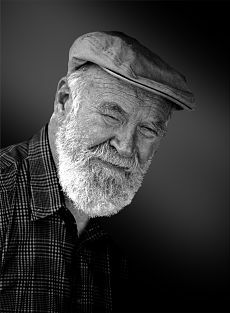 During this time, Bill’s reputation as a master builder grew as he built and renovated residences for customers who quickly became friends of this beloved mountain man due to his work ethic and spiritual charm. He was an active member of the Greater Cement Hill Neighborhood Association and owned and maintained the oldest home in Nevada County in North San Juan that was built in 1851. From the 1970s until 2014, Bill split his time with his family, neighbors, friends, and cherished Ashrams – Brahmananda in San Francisco and Ananda in Monroe. For his daily spiritual practice, Bill built a mediation hall in one of the Southwest style stucco buildings of the home he designed and built on Indian Flat Road where he hosted three summer retreats for the Yoga Society of San Francisco (Brahmananda Ashram). Bill also attended the weekly bhajans and other special events at the Satya Sai Baba Center on Indian Flat Road where he was a contributing member for many years. A Celebration of Bill’s life will be announced for the Fall.